This article originally appeared on Bundesliga Fanatic. Norwegian midfielder Håvard Nordtveit is held in high regard by those within the walls of Borussia Park. The acquisition of the 22-year-old has proved to be a shrewd piece of business for Borussia Mönchengladbach since he joined the club in 2010. The versatile youngster has been going quietly about his work in the Bundesliga, excelling for the German club in the defensive midfield role. The Norwegian joined Gladbach in 2010 from Arsenal at the age of 20. Nordtveit was marked as a hot prospect for the future when he was signed by Arsenal in 2007 from Norwegian club FK Haugesund. A lot was made of the youngster during his early years with the Gunners and at a time when Arsene Wenger’s policy of blooding youth was in full swing, Håvard was viewed as one of the brightest prospects and one that could break into the Arsenal first team. It has been a common theme for the young players coming through Arsenal’s ranks to be loaned in order to gain first team experience, and Nordtveit was no different as he found himself shipped out. He spent time with several clubs including Lillestrøm SK in his homeland, FC Nürnberg in the Bundesliga, and Arsenal’s partner club in Spain, UD Salamanca. Nordtveit had varying levels of success at each club. His spell at Salamanca was particularly underwhelming for the player, and for Arsenal, due to a lack of game time, thus fueling fears that his development as a footballer was actually going backwards. 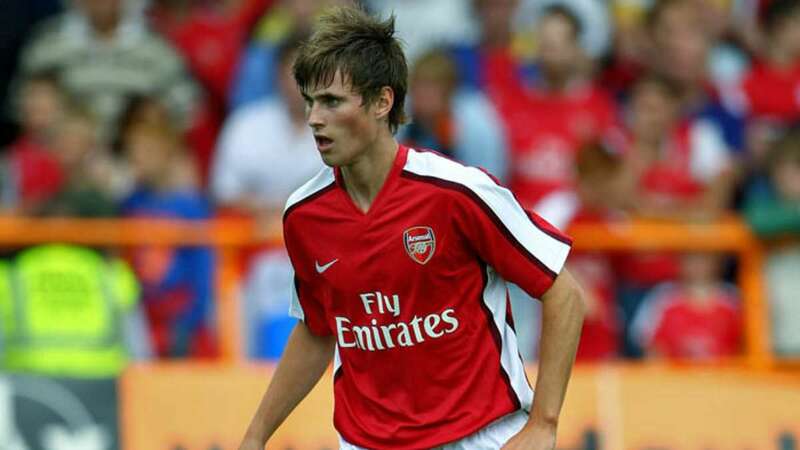 Despite the loan moves the young Norwegian never really got the chance to play for the Arsenal first team, much to the disappointment of those who had followed his promising youth career with the Gunners. Having not made a single first team appearance, he departed in January 2010 for a fee believed to be in the region of £800,000. A relative steal in today’s transfer market. Although, he was primarily a defender at Arsenal, operating at centre back or right back, he found himself deployed in a defensive midfield role with Gladbach. During his first full season with Borussia, Nordtveit made 31 appearances as The Foals mounted a surprise title challenge in the 2011/12 campaign, qualifying for the Champions League and finishing just four points behind 3rd placed Schalke. The versatile Norwegian made his breakthrough for Gladbach in that extraordinary campaign alongside the likes of Brazilian defender Dante and German stars, Roman Neustädter and Marco Reus respectively. Nordtveit remained with the club, but Foals boss, Lucien Favre, had to rebuild his squad in the summer of 2012. This work proved to be a difficult task after the departure of three of his star players (Dante, Neustädter and Reus) and the style of football suffered as a result. Gladbach became much more defensive during this recent season, operating in a rigid 4-4-2 formation and looking to hit opposition on the break. The change in tactics severely diminished the effectiveness of Gladbach’s counter-attacking football, however, especially after the loss of Marco Reus to Dortmund in the summer. Regardless, Nordtveit enjoyed a second consistent season in the Gladbach first team. He made another 31 Bundesliga appearances and established himself as The Foals lynchpin defensive midfielder. The Norwegian provided freedom for Swiss midfielder, Granit Xhaka, and Venezuelan attacking midfielder, Juan Arango, to dictate Gladbach’s counter-attacking football in a rebuilt midfield filled with a mix of youth and experience. His ability to read the game, an impressive range of passing and strong, and well time tackling have all been amongst his defining traits since he began his youth career at Arsenal. Favre has put his trust and confidence in Nordtveit, something he didn’t truly have whilst at Arsenal and this has had a positive impact on the players’ performances. The continued exposure to first team football has successfully taken Nordtveit’s development to the next level, as Gladbach’s investment in the young Norwegian has paid off almost immediately. Le Professeur may now be regretting his decision to let the talented midfielder leave the Emirates after he deemed the Norwegian surplus to requirements back in 2010. Nordtveit has grown from strength to strength since joining Gladbach and under the leadership of Favre he has been allowed to showcase the talents that attracted the Gunners in the first instance, establishing himself as an ever-present figure in The Foals first team. It’s no secret that Wenger’s Arsenal side have been crying out for a long term defensive midfielder for awhile. Losing Gilberto Silva, then Mathieu Flamini, and most recently not replacing Alex Song, who departed for pastures new at Barcelona at the start of 2012. Mikel Arteta has filled the deep lying midfield role in this past season, but the Spaniard is not a naturally gifted defensive player. However, equally adept in both centre midfield and centre defence, Nordtviet could have filled the wide void in the Gunners’ midfield. However, it remains to be seen whether Nordtveit would have had the same impact in the Premier League. Playing in England often proves to be a baptism by fire for both young and experienced players alike. The pressures of top flight football are one and many, especially at a club like Arsenal where the need for silverware has become an obsession since the last trophy graced the Gunners cabinet in 2005. Although, Nordtveit has not received anywhere near the same level of attention as players like Mario Götze, Christian Eriksen or Isco this summer, his consistent performances have not gone unnoticed by the bigger teams across Europe. Rumours have continued to circle around regarding his future at Gladbach, as he’s linked back to Arsenal amongst other clubs. Nordtveit is enjoying life in the Bundesliga and his commitment to the Foals has remained unwavering despite interest from bigger teams in Europe. His performances for the Norway Under 21 side in this summer’s European Championships also will be closely monitored by a host of clubs in the Bundesliga and across the continent. Although he has not yet reached the exceptionally high levels of players like Javi Martinez of Bayern Munich or İlkay Gündoğan of Borussia Dortmund, Nordtveit is still young and has time to develop his true potential. The future looks very promising for Håvard Nordtveit. With the contract extension last year, the Norway international looks set to continue his career with Borussia Mönchengladbach and he will undoubtedly be one to watch in the future.